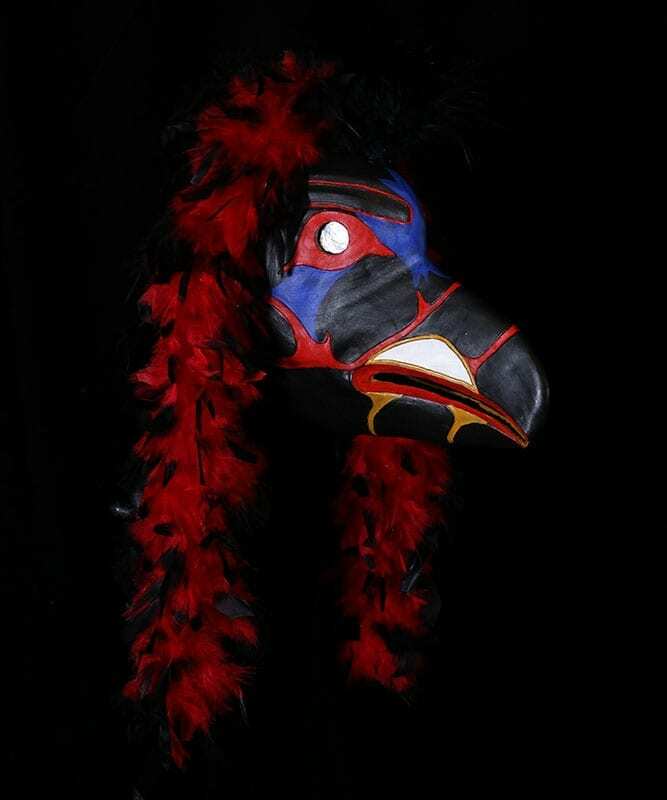 The Raven was commissioned by the BFA acting class of 2017 as part their assigned work in Devising. 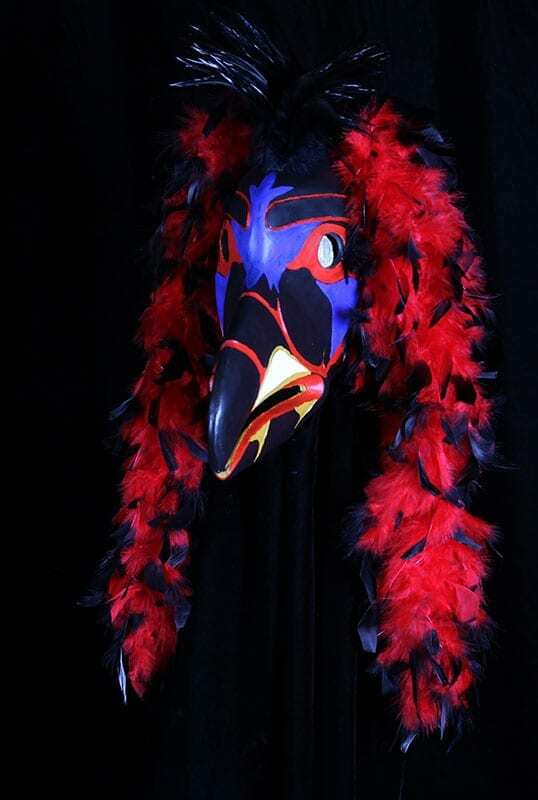 The Raven is a trickster, a noble creature and filled with the power of transformation. The raven is a shape shifter and it the story invented by the students, he carried the sky goddess back into the heavens so she could restore the moon to its rightful place. 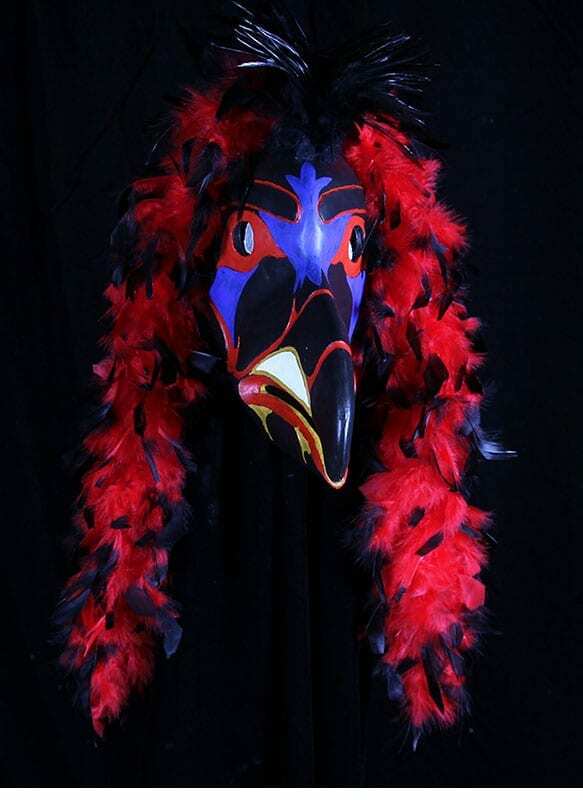 The mask is made of neoprene latex, feathers and has a nylon adjustable strap to keep it on.